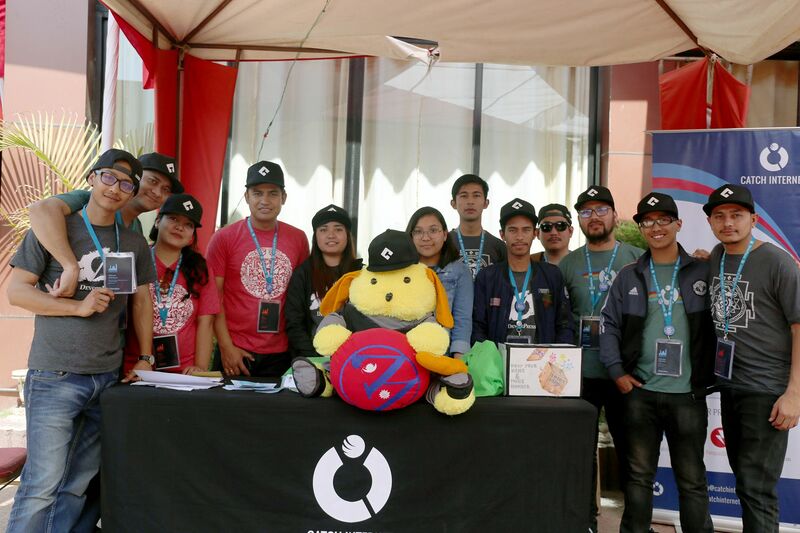 The biggest WordPress conference in Nepal, WordCamp Kathmandu 2018 concluded with huge success last weekend. I was present at the event and had an amazing experience, as always. This time, I was on the organizing team. Also, I was given an opportunity to give Opening Remarks along with a Q&A session with Mayo Moriyama, hosted by Utsav Singh Rathour. I will give you all an overview from my side; my experience at WordCamp Kathmandu 2018. Beginning with the day one; the official WordCamp day, it was a blast. 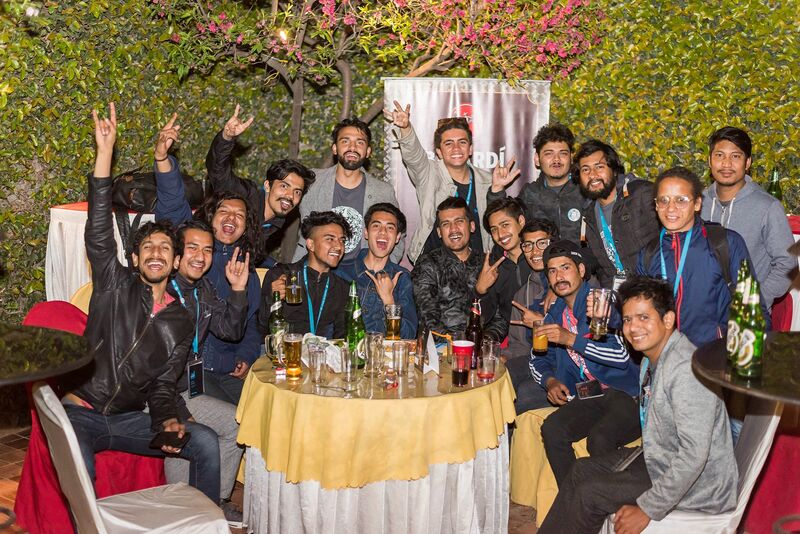 This time, WordCamp Kathmandu was more inclusive. This WordCamp brought so many WordPress-related people and innovative ideas together under one roof with well-balanced international and national speakers. As compared to the previous WordCamps in Kathmandu, this year, it was really impressive to see a large number of female speakers and participants as well. More than 300 attendees were present at the event and all the organizers and volunteers were extremely busy managing all the hassle going on. Similar to the last WordCamp Kathmandu 2017, Catch Internet supported WordCamp Kathmandu as a silver sponsor this year as well. WordPress and its amazing community have given us so much. It’s merely logical that we find it important to give back. And, I believe organizing a local WordCamp is a great way to give back to the community. Catch Internet also had a stall where we introduced a “Spin to Win” wheel, where only the registered attendees were allowed to spin the wheel and win what the pointer landed on. Many exciting Catch Internet, Catch Themes, DevotePress, and NepalBuzz swags were available for grabs. There were so many new faces in WCKTM 2018. I noticed that the new faces were mostly students from various cities of Nepal. It was also really special to see all those young WordPress enthusiasts attending the event. So, I must say that this year, the student’s discount scheme helped a lot in the growth of attendees in WordCamp Kathmandu 2018. I felt extremely happy to see different WordPress communities from various cities of Nepal, like Pokhara, Bhaktapur, Biratnagar, Birgunj, and Kavre. Unlike the previous WordCamps, all the volunteers were also invited to the Speakers’ and Organizers’ dinner party this year. I think it is a very motivating move as the volunteers will get an excellent opportunity to interact with the organizers and speakers. I believe the volunteers might’ve also felt rewarded as well. And not to forget, in the coming WordCamp events, if any new faces want to join the organizers’ team, previous volunteers will be prioritized. So, I hope being a part of the speakers’ and organizers’ dinner party, the volunteers were able to get closer to the community. I was very much honored to be giving the Opening Remarks and starting the event officially. 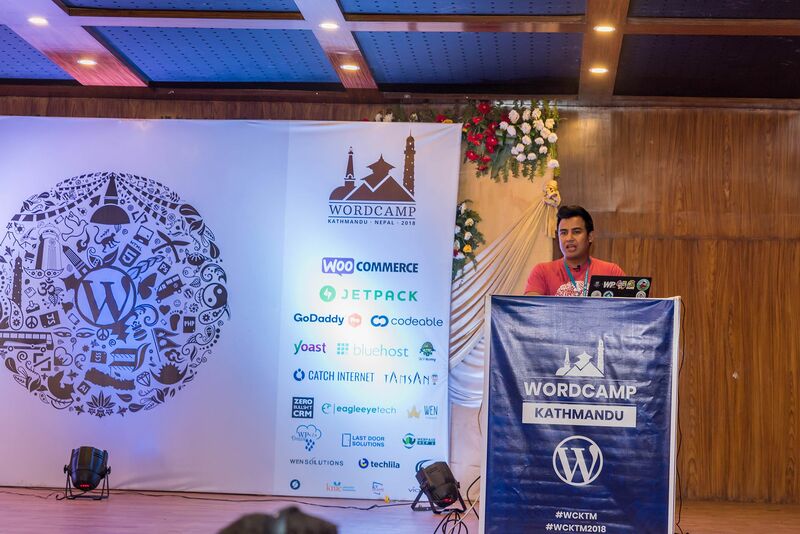 I felt honored to talk about WordPress Nepal briefly in my opening remarks. Also, I welcomed and thanked all the sponsors, organizers, speakers, volunteers and attendees, of course. After the opening remarks, I then welcomed the founders of WordPress communities from various cities. 5 different local WordPress meetup representatives shed light on their respective WordPress communities and furnished some details about them as well. Attendees were also enlightened and provided links on how they can also join their WordPress communities. As I mentioned earlier in this post, I had an exclusive Q&A session along with Mayo Moriyama, which was hosted by Utsav Singh Rathour. But, before I go on the details, you might all be familiar with the US-Bangla airplane crash that occurred a few days before WordCamp Kathmandu 2018—prayers to all the family members who lost their beloved ones in the accident. Because of that unfortunate accident, all the flights from/to Bangladesh were cancelled for a few days, due to which, M Asif Rahman from Bangladesh, who was previously going to talk at WordCamp Kathmandu 2018 could not make it to the event and that is why the speaking session was replaced by the Q&A session. I would like to thank Mayo for joining us on such a short notice of time. The Q&A session covered questions related to the Contributor day. It went very well and I believe was pretty helpful for all the attendees to prepare for the first Contributor day. Mayo was very excited about the Contributor day as well. As for the after-party, we headed towards Bajeko Sekuwa at Battisputali, Kathmandu. While at the after-party; it provided everyone a chance to hang out with fellow attendees, explore new ideas, and network after the long day at WordCamp. In case you had missed the amazing WCKTM 2018 this year, here is a fun video for you covering all the happenings of the event. Enjoy! As it was the first ever Contributor Day happening in Nepal, I was more like a volunteer, and a photographer. I did not stick with just one specific team; I was involved in all the teams—Theme Review, Community, Polyglot, Documentation, and Support. It is because I wanted to make sure everything was going smoothly. I personally interviewed some of the personalities during Contributor day as well. It was a fun day for me. I was also very impressed with the number of attendees that showed up for the Contributor Day. Contributor Day concluded with some amazing news. 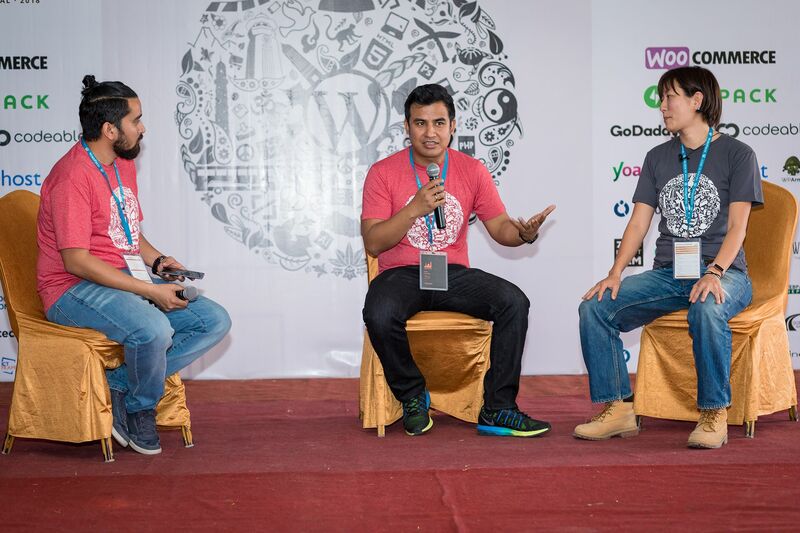 WordPress community of Biratnagar and Pokhara is planning to organize a WordCamp in both cities in the coming month of October and November respectively this year. It feels amazing to see our WordPress community growing every single day. So overall, all the teams did pretty well and I had an amazing time at our very first Contributor Day. Here’s what went down on the Contributor Day. All in all, I am very happy with WordCamp Kathmandu 2018. 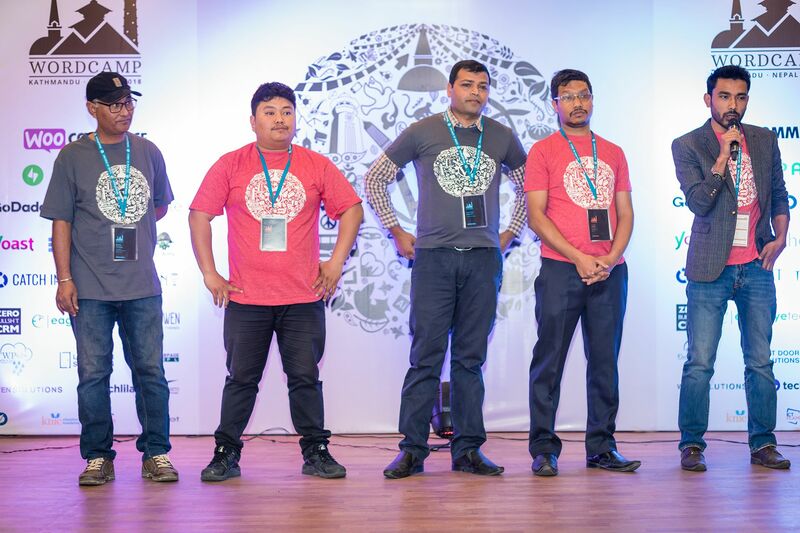 The expectations I had with WordCamp Kathmandu 2018 this year were very much fulfilled and I must say I am really enthralled with everyone who made this WordCamp happen. Cheers! 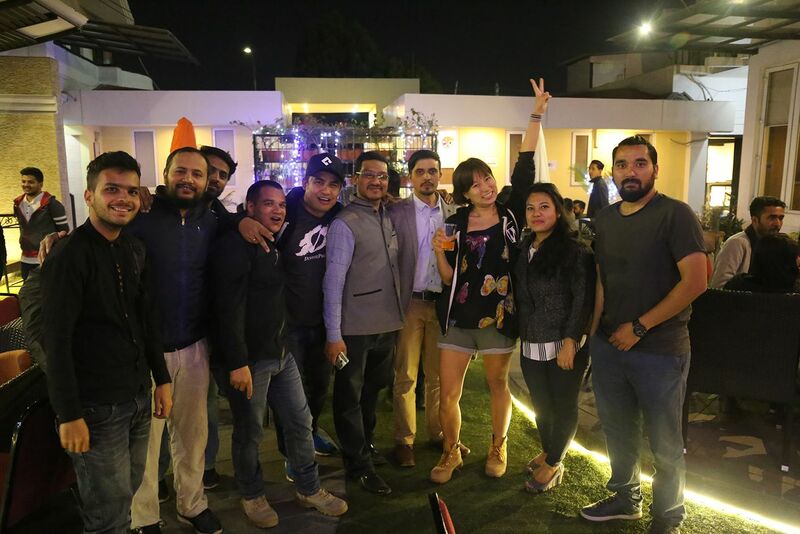 This entry was posted in Events, WordCamps, WordPress and tagged WordCamp, wordpress by sakinshrestha. Bookmark the permalink.